Condo Mortgage - What's Different About Getting a Condo Mortgage? Buying a condominium is often the choice of people who value convenience. But getting that convenience means you have to put up with a few extra challenges when it comes to qualifying for a condo mortgage. Condominium mortgage requirements are more stringent than those for a conventional home loan, and the mortgage rates are generally higher as well. In addition, there are certain costs you have to pay in connection with a condo mortgage that you don't encounter with a standard home loan. Not only that, but in addition to having to qualify for the mortgage yourself, the homeowners' association where you're buying a condo has to pass muster as well. That's not to say that the additional wrinkles in obtaining a mortgage for a condominium are going to present a major barrier to getting the loan; as long as you're prepared for them and know what to expect, you should be all right. Here are the main things about getting a condo mortgage that you should be aware of. The mortgage rates on condominiums are usually higher than what the same borrower would pay if they were purchasing a single-family home on similar terms. That's because condominium mortgages are considered somewhat riskier loans than are mortgages for single-family homes. On a conventional mortgage backed by Fannie Mae, the rate on a condo will usually run about one-eighth to one-quarter of a percent (0.125-0.250 percentage points) higher than what you'd pay on a single family home. That's because Fannie Mae charges lenders an up-front fee of 0.75 percent of the loan amount on all condo mortgages with less than 25 percent down. Lenders usually cover this by boosting the mortgage rate to compensate. You can avoid the higher rate by simply paying the 0.75 percent up front, or by making a down payment of 25 percent of the purchase price or more. However, a down payment that large is out of reach for many condo buyers, particularly if they're first-time homebuyers. With an FHA loan, you can make a down payment on a condo as small as 3.5 percent and still pay the same rate you would with a larger down payment. However, the FHA charges an upfront mortgage insurance fee of 1.75 percent of the loan amount that isn't charged on Fannie Mae loans. You may also find that some lenders will charge higher mortgage rates for condo mortgages made in certain states, particularly Florida and Nevada. While these increases are often fairly small, in some cases they can be nearly half a percent higher than what you'd pay for the same loan in a different state. These adjustments vary from lender to lender, so it pays to shop around. As noted above, you need to put at least 25 percent down on a condo to get the best rates offered on a Fannie Mae loan; single-family home buyers can get the best rates by putting down only 20 percent or less. In addition, some lenders may require that you put at least 20 percent down on a condo as a minimum. That's partly a function of location; condos in Florida and Nevada in particular have larger down payment requirements than in other states. Still, in other areas the down payment on a condo can be as little as 5 percent for those with excellent credit. FHA loans, as noted before, allow down payments of as little as 3.5 percent on condos. However, you will be required to put down 10 percent if buying a condo in a new development that does not include a warranty of at least 10 years. Condominiums tend to cost less than single-family homes (though that's partly because they're usually smaller), so your mortgage payment on a condo will likely be lower than it would be on a house. However, when thinking about your mortgage payment on a condo, don't neglect to take into account the association fees. All condominiums have what are called homeowners' associations, which are responsible for the upkeep and repairs for the building exteriors, the grounds and any commonly shared facilities. These are funded through dues the condo owners pay each month in addition to their mortgage payments. Homeowner association dues can vary widely, depending on the services provided and how costly it is to maintain the overall property. As a rule of thumb, you'll rarely find that they're lower than $100 a month, while $500 and above is not unusual for better properties. While this is an extra cost that will be added onto your mortgage, your homeowners' association fees will help you save money in other ways. Because the association is responsible for maintaining the grounds and exterior repairs, you don't have to worry about occasional major outlays for things like a new roof, replacing siding or buying and operating a lawnmower. (You do have to pay for maintaining things that are actually inside your unit, which often includes major items like the furnace and water heater). Be wary of buying a condo in a development where the association fees are unusually low. It could be that they aren't charging enough to adequately maintain the property, which can degrade the value of your individual unit over time. Also, be aware that association fees are not fixed - they can be raised, sometimes dramatically, if your homeowners' association decides it is necessary. With a condominium, you have a shared interest in your property with the other residents of the development. The homeowners' association bears responsibility for ensuring that the entire development can continue to function as a viable entity. So a lender will want to make sure that both you and the development itself are on firm financial footing before it will approve a mortgage. Fannie Mae, Freddie Mac and the FHA all have certain standards that condominium developments and their homeowners' associations must meet before they will approve a mortgage to buy a unit there. Among the main requirements of all three is that at least half of the units must be owner-occupied and that no single investor can own more than 10 percent of the units (different rules apply for newly developed properties). Fannie and Freddie also require that homeowners' associations put at least 10 percent of their annual revenues into a reserve fund for long-term needs. The FHA has a stricter standard, and requires that a property have passed a financial review in the past 12 months. Many developments don't care to undergo this step every year, which limits the number of FHA-approved condominiums that are available on the market. If a development doesn't meet these "agency" guidelines, it's still possible to get a condo mortgage by going through what's known as a "portfolio" lender. These are lenders that don't sell their mortgages to Fannie Mae, the FHA or some other agency, but instead keep them in their own investment portfolios or sell them directly to investors. This means they don't have to follow Fannie/Freddie/FHA guidelines but that they or their investors can set their own. 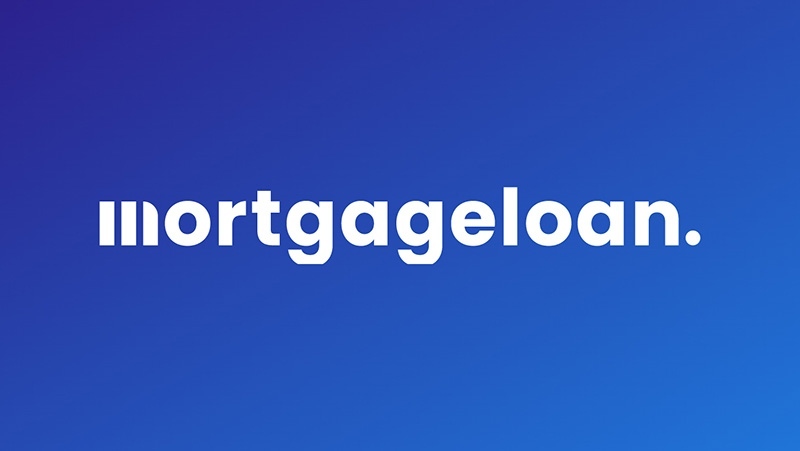 Such mortgages generally have fewer restrictions on them but typically charge significantly higher interest rates - often as much as three full percentage points above the best agency rates. Down payment requirements of 20-30 percent or more are common as well. All of these things can make getting a mortgage for a condominium a bit more complicated that getting a loan for a single-family home. But they shouldn't be major obstacles, as long as you're prepared for them.